What product can be obtained from dry corn seed in Kingrunda? 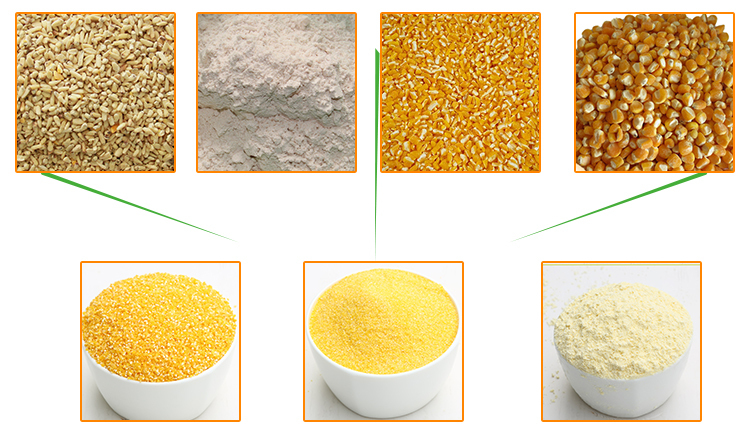 Corn is a very healthy cereal grain. Corn contains carbohydrates and is rich in vitamin C, magnesium, B vitamins and carotenoids, such as lutein and zeaxanthin. Corn contains very little fat, less than 1 gram per serving (without toppings), and is a good source of fiber, clocking in around 3 grams per half cup. With modern life development, people more and more realize importance of corn in daily food. Our company dedicates to researching into corn milling technology in aim of help people make good use of corn to produce tasty food. In China, our daily food for corn is to make porridge for breakfast or dinner. As per our corn processing machines experience, we can get following corn product from dry corn seed. ① Corn grits for snack food or corn meal, fufu, etc. ② Corn flour for bread. ③ Corn germ for corn oil.